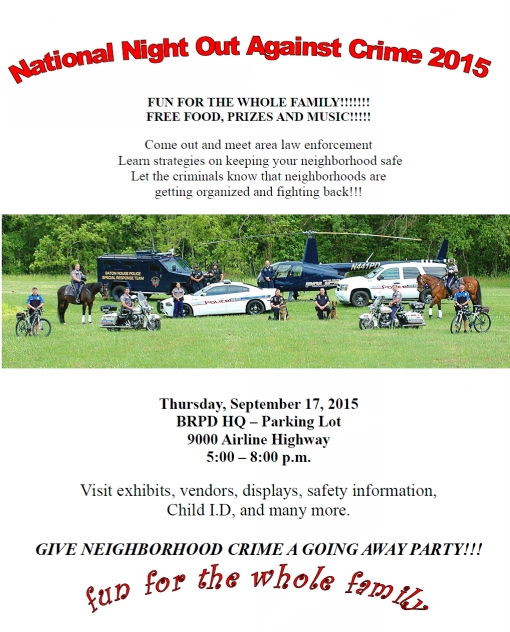 Please join Crime Stoppers this evening at the Baton Rouge Police Department's National Night Out Against Crime. 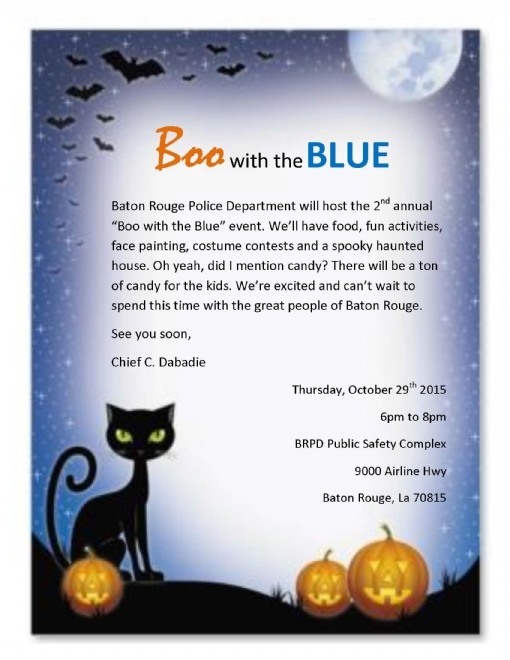 The event is FREE to the public and will be held from 5-8 PM at BRPD's HQ at 9000 Airline. 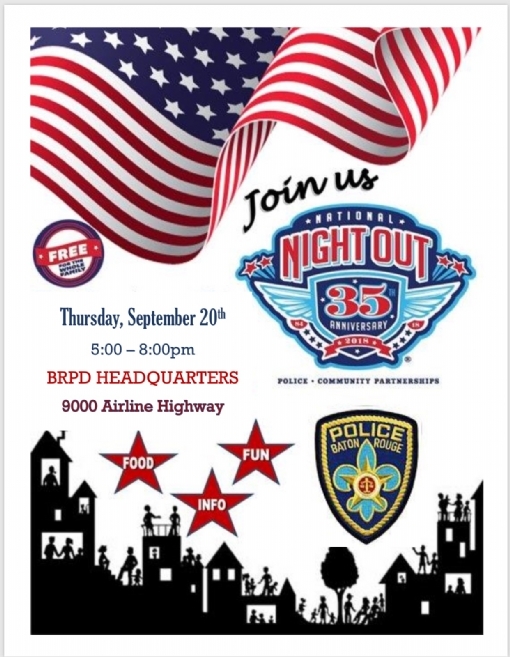 Night Out is an annual community-building campaign that promotes police-community partnerships and neighborhood camaraderie to make our neighborhoods safer, more caring places to live. 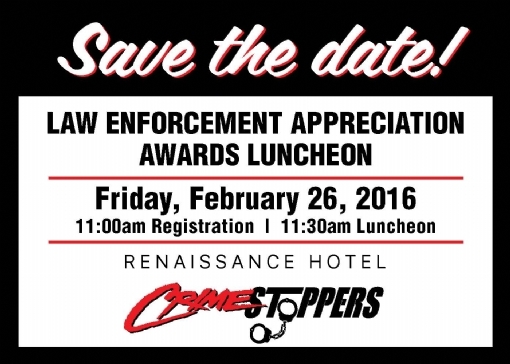 This is a great opportunity to bring law enforcement and neighbors together under positive circumstances. 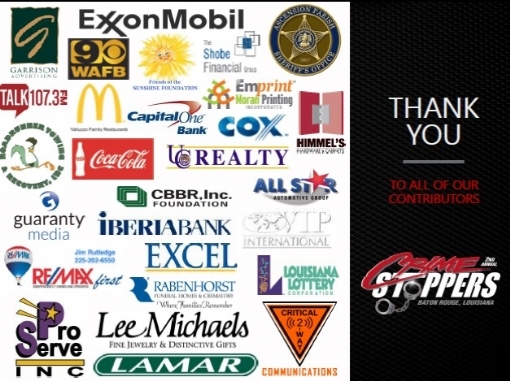 The Collegiate Players Tour Golf Tournament, held for over 20 years, is now being called Baton Rouge Crime Stoppers Golf Tournament. The new location and date will be University Club Plantation on June 4, 2018. 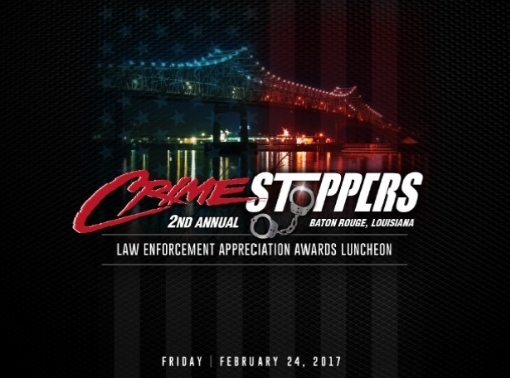 The tournament will benefit Baton Rouge Crime Stoppers and is no longer associated with the CPT. The CPT has dissolved and will no longer sponsor any events. We are looking forward to the tournament this year and will be contacting sponsors and players in the near future. Please complete the sponsor form and your level of sponsorship. Please include the name of your team and players. 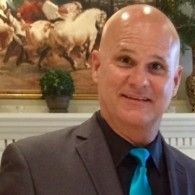 If you have any questions please contact Carl Morrow at 225-767-3540 or Sid Newman at 225-291-1894. The 2017 Collegiate Players Tour is set for July 10,11 and 12, 2017 at Santa Maria Golf Course. 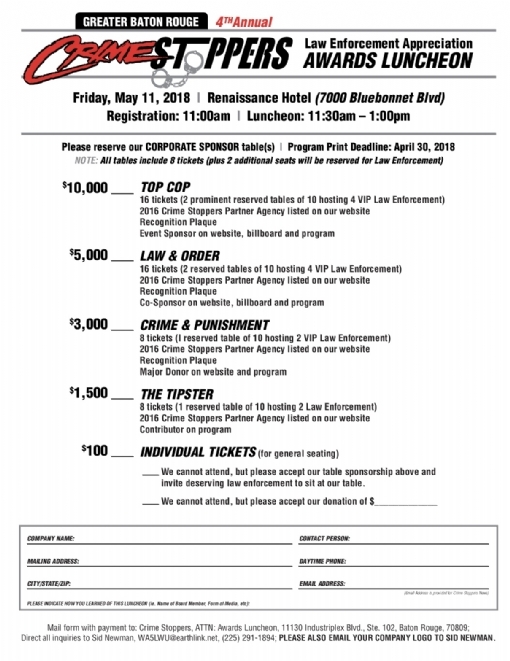 If you have not played in the tournament previously, you will definitely enjoy, and the proceeds go for a great cause Greater Baton Rouge Crime Stoppers. 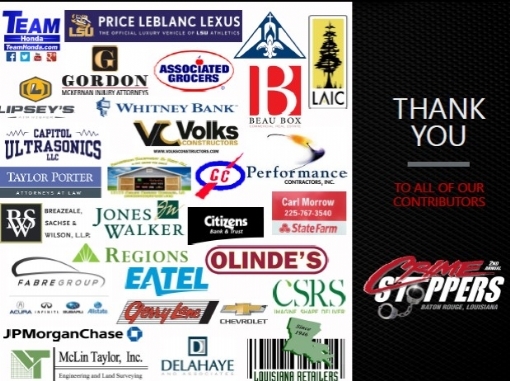 Greater Baton Rouge Crimestoppers is instrumental in helping solve crimes in the Baton Rouge and surrounding areas. This year we are giving each participant a quality golf shirt and golf cap. We will also have long drive prizes, 2 hole in one cars closest to the hole awards. The 2016 Servicemaster Restore/Collegiate Players Tour is set for June 27-29, 2016 at Santa Maria Golf Course. 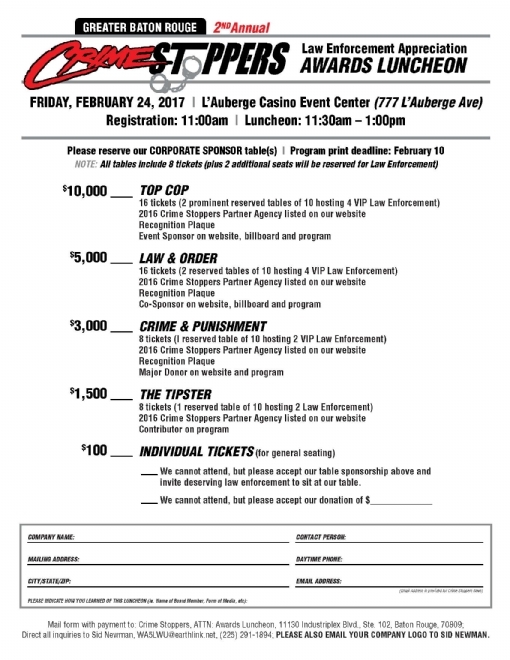 The information on the tournament 2016 COLLEGIATE PLAYERS TOUR(1).docx If you have not played in the tournament previously, you will definitely enjoy, and the proceeds go for a great cause Greater Baton Rouge Crime Stoppers. Sgt. 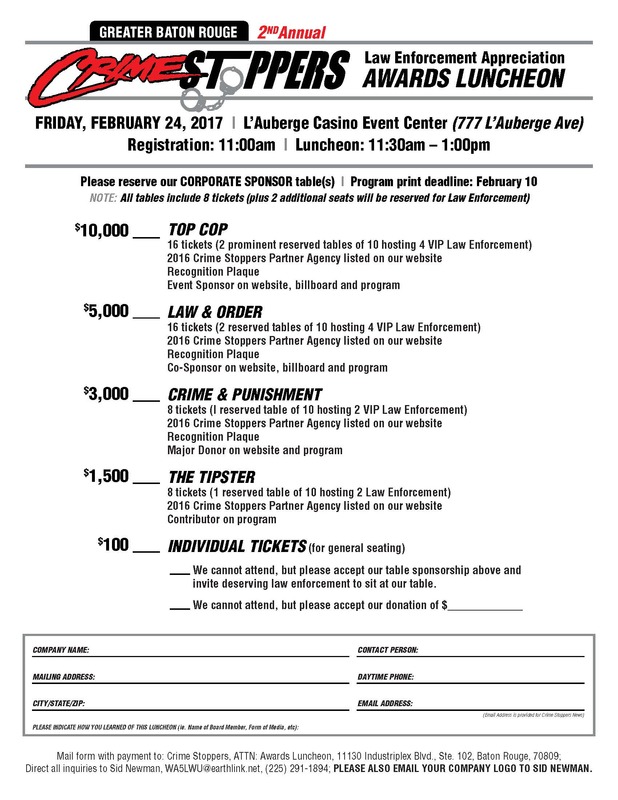 Don Stone, Crime Stoppers Dr. Harry K. Day, Zoe Medical LLC. 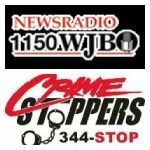 NewsRadio 1150 WJBO will host the roundtable discussion “The Growing Problem of Prescription Opiates and Heroin in East Baton Rouge Parish” live. 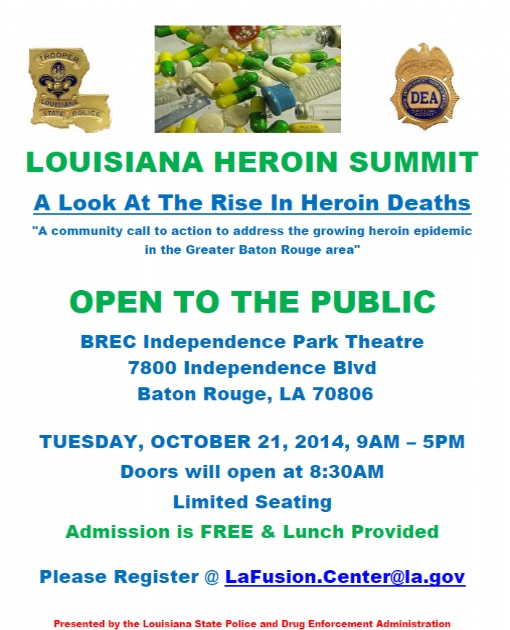 Karen Henderson, of Baton Rouge’s Morning News on NewsRadio 1150 WJBO, will moderate the roundtable discussion. Listeners can listen to NewsRadio 1150 WJBO on the station's website www.wjbo.com, as well as on iHeartRadio. 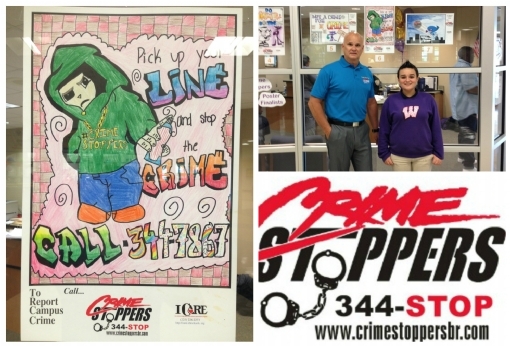 Greater Baton Rouge Crime Stoppers would like to Congratulate Alexandra Herring the Woodlawn Middle School Crime Stoppers Poster Contest Winner. Today, Sgt. Don Stone presented Alexandra with a $100 prize from Crime Stoppers. We would like to thank everyone that entered the contest. 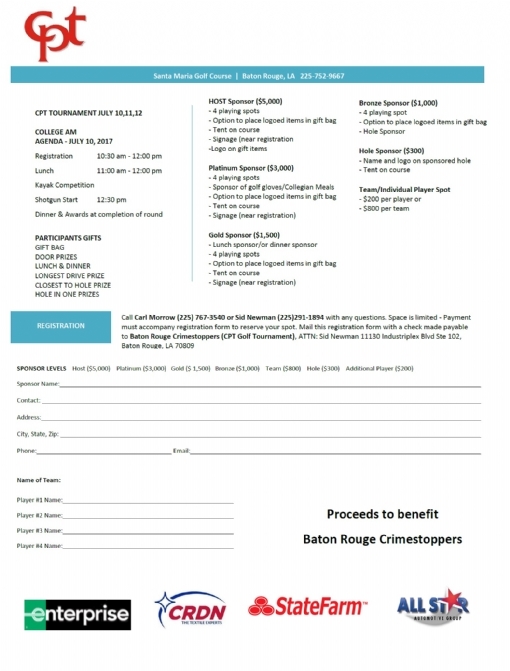 Join Greater Baton Rouge Crime Stoppers at the ServiceMaster Collegiate Player Tour on June 22, 2015 at Santa Maria Golf Course. 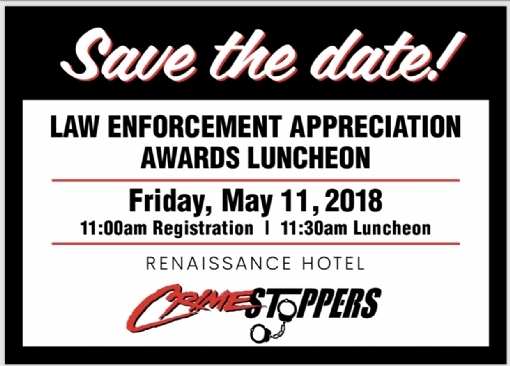 All proceeds benefit Greater Baton Rouge Crime Stoppers who is instrumental in helping solve crimes in Baton Rouge and other surrounding parishes. This year each participant will receive a quality golf shirt and golf hat. We will have Long Drive prizes, two chances to win cars with a Hole in One, and a Poker Run as an added cash give away. This year’s tournament will be held on July 7, 2014 at Santa Maria Golf Course in Baton Rouge, Louisiana. The format is a modified scramble. All tee shots will be taken and individual play will be from the best shot available. Registration is 11:30am-12:30pm, with tee off at 1:00pm. 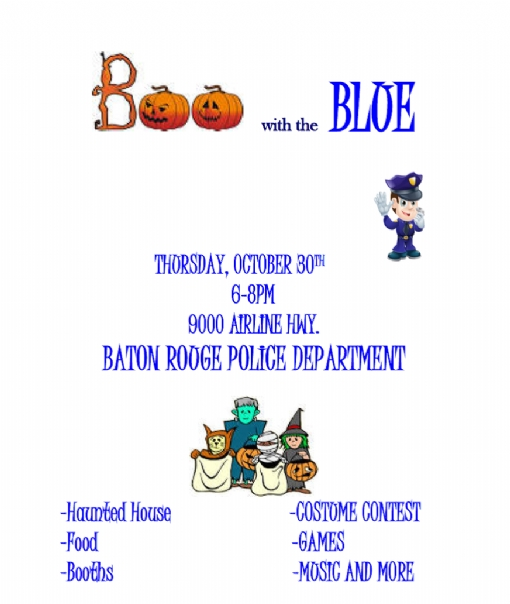 Profits will benefit Baton Rouge Crimestoppers, Inc. If you are not sending your entry form with payment at this time, but want to reserve a spot for your team, please email Sid Newman at WA5LWU@earthlink.net or fax your form to 225-291-1720. On Saturday June 21, 2014 between 9:00am until 2:00pm a Health and Safety Fair will be held in the parking lot of the soon to open Walmart Store at the corner of Burbank Dr./Bluebonnet. The public is encouraged to attend this free event where you will receive valuable information regarding Health and Public Safety Issues. There will be some 30 plus health vendors on hand to discuss special needs, exercising, dietary concerns and overall health wellness. Free blood pressure checks and sugar testing will be offered on site. 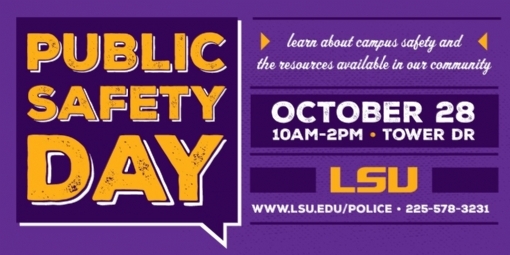 The Public Safety sector will have representatives from; District Attorney’s Office distributing information on the BRAVE initiative, US Attorney General Office will conduct a gun safety demonstration, Trafficking Hope will be on hand to discuss Human Trafficking, I-Care Specialist from EBR School System, Baton Rouge Police Department Community Service, East Baton Rouge Sheriff’s Office Community Services, East Baton Rouge South Burbank Sheriff’s Office Sub-station, LSU Campus Police Department, and Crime Stoppers. This Health and Safety Fair is free and open to the public. That’s Saturday June 21 from 9-2pm. Come one come all. The Baton Rouge Police Department is offering an Equalizer Women’s Self-Defense class. The class will be held at the Baton Rouge Police Department Training Academy, located at 9050 Airline Hwy (the building behind the parking garages). There is no charge to attend the class which is open to women over the age of 13. Participants should wear comfortable clothing suitable for physical activity. The course covers: facts about violence against women, reducing the risk of becoming a victim, defensive striking, common grab defenses, head-lock defenses, bear hug defenses, striking and knife defense and group escapes. Participants must attend all 4 sessions to be certified. Class size is limited so participants should register early by calling the Baton Rouge Police Department Training Academy at 225-389-3886.